I rushed home after school to get on the treadmill (it was hot and I was tired!) so I could run, eat and shower before going to teach marching band from 6-9. 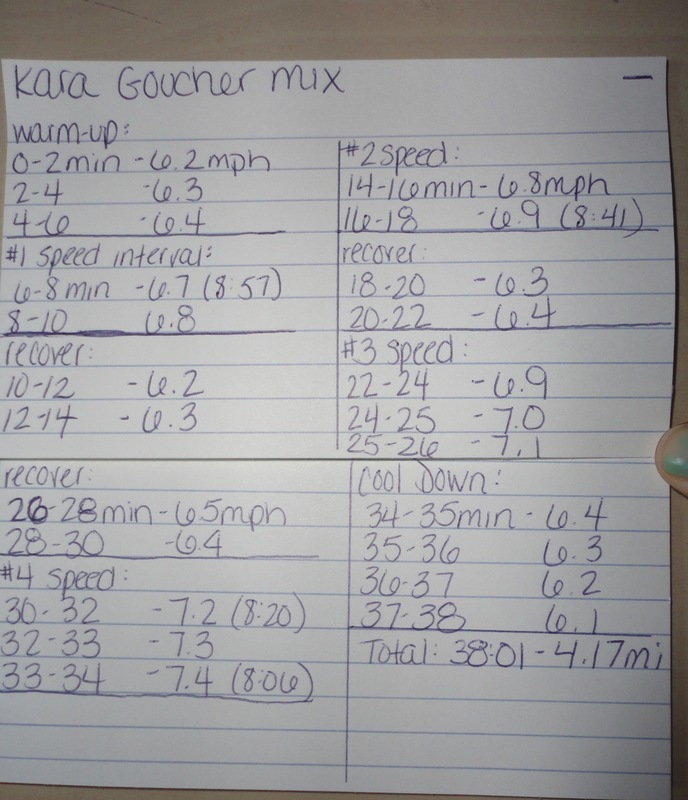 I decided to listen to my Kara Goucher iTunes workout and run speed intervals. I haven’t done this workout in awhile and I knew it would good to get my legs moving faster! I also LOVE Kara Goucher!! A closer look at the speeds I used on the treadmill. This was actually from a previous workout and I modified my “recovery” speeds to 6.2 for each time. I did stick to the speed intervals and got up to 7.4 at the end. For some reason this seems unbelievably fast on the treadmill to me. I can run faster than a 8:06 pace outside, but for some reason I feel like I am going to fall off the treadmill when I get to 7.4! Do you feel like it it is harder to run fast on the treadmill than outside? 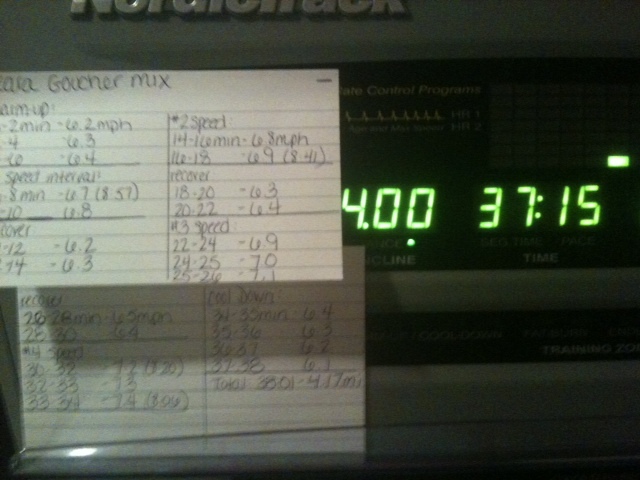 Do you ever write down your treadmill workouts? Tags: Kara Goucher, running, treadmill, Workouts!